There is also DSDA or Dual SIM, Dual Active, which requires two different radios and allows the SIMs to be used simultaneously - but the smartphone industry mostly uses DSDS for dual SIM support on handsets. As per the recent commit changes spotted in the AOSP (Android Open Source Project) Gerrit, the Pixel 4 might offer true dual SIM functionality that will allow users to choose which SIM they want to utilize for handling calls and messages. We're nearly certainly going to get Android Q arriving with the Pixel 4, ready to take advantage of that dual-SIM functionality. As per the same report, in the comments of the commit a Googler revealed that the boolean "is required to differentiate 2018 Pixel (which has 2 SIM cards, but dual SIM functionality is restricted to dog fooding) from 2019 Pixel (which will have dual SIM functionality)". However, a device which is said to be the Pixel 3 Lite was seen on Geekbench yesterday and it is powered by a less-powerful and older processor. So technically speaking, Google may be able to introduce real Dual SIM, Dual Active support for the Pixel 3 with a software update if the company wanted to. This eSIM isn't widely used, though; Sprint in the United States uses it, but few other carriers do. Apart from that, not much is known about Pixel 4 at the moment. It's likely that the Snapdragon 855 will be on board the Pixel 4 and the Pixel 4 XL, if Google decides to put out two handsets again. 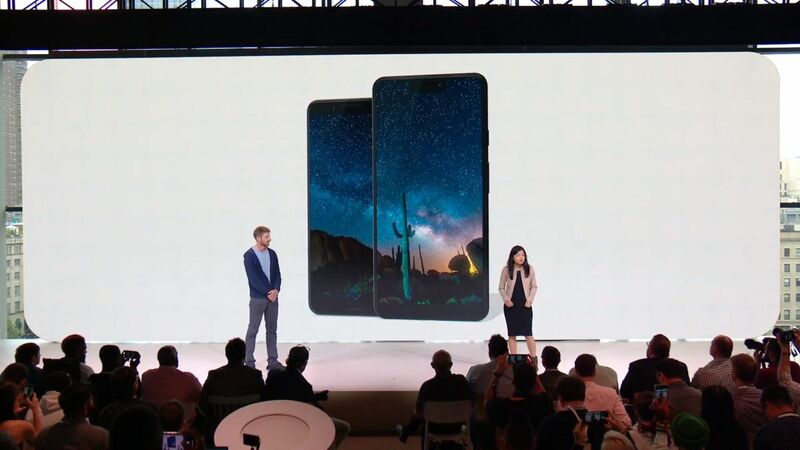 It's too early to speculate about the Pixel 4, but the sketches show that the mysterious device will have no notch, two-tone back, a fingerprint scanner and a single rear camera, like the Pixel 3 XL and Pixel 3. The Google Pixel 3 series of smartphone may have been out on the market for less than six months, but that isn't stopping the search engine from marching forward with the development of its successor. One of those might be changing in the upcoming Pixel 4 phone later this year and, no, it won't be the cameras.